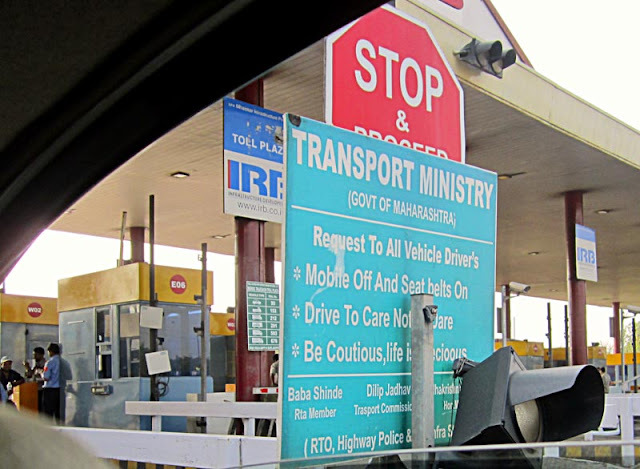 India is full of hilarious signs on its highways and roads and these are just a few samples. Found on a country road it exhorts travelers that it's better to be Late rather than Death! 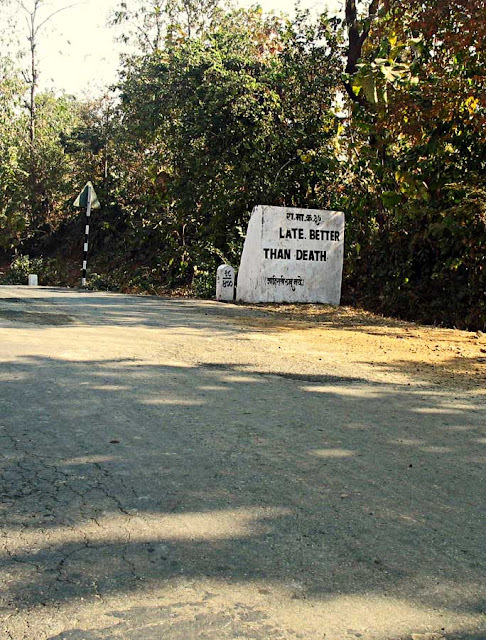 This one is funnier, telling travelers that it's better to be Mr. Late than Late Mr.! 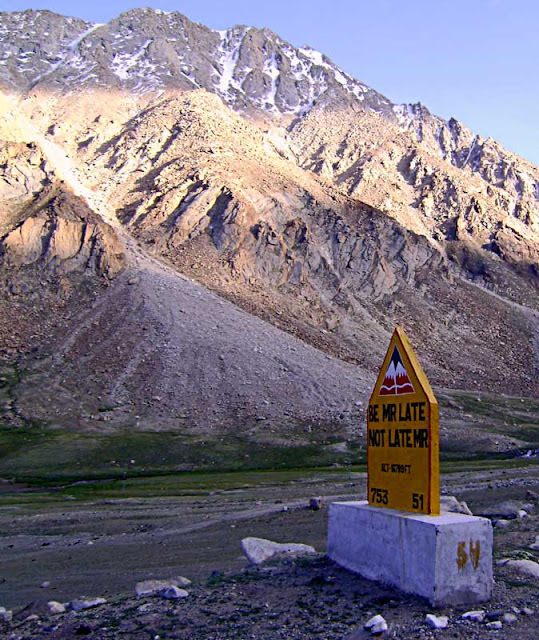 This is a road in Leh. 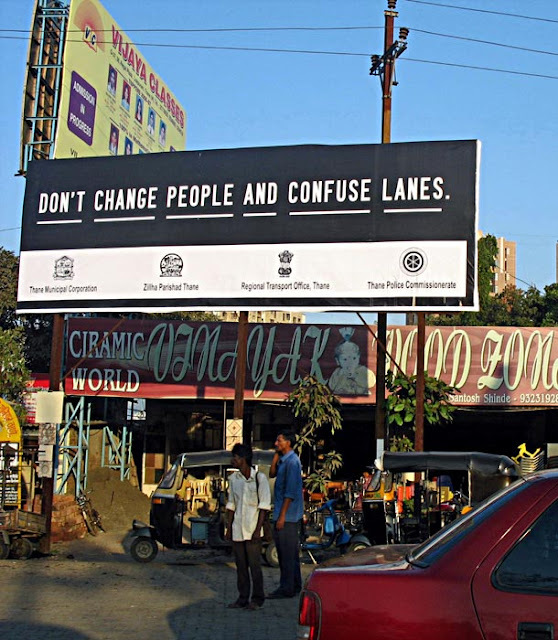 A signboard on an expressway. Drive to Care Not to Dare, whatever that means! And the word Coutious is not just spelt wrong the full sentence goes like this: Be Coutious, life is precioous! I guess it rhymes! This hoarding is supposed to be funny but makes little sense. Don't change people?? Not so bad. 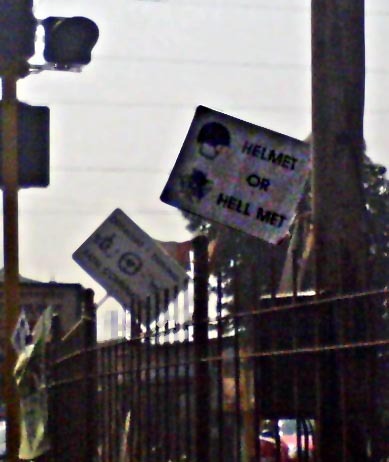 Helmet or Hell Met. Short and sweet sign in Mulund, Mumbai.